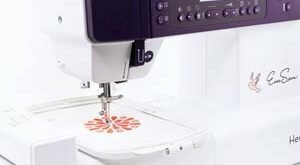 This singer 6180 review would carefully introduce the features, pros, and cons of the sewing machine. What else could make a sewing machine exceptional especially one with all the right features? Just as the name implies, it is fully equipped with brilliant features that make it the right machine for any and every level of expertise. Either you settle for the gray or white color, there’s still the Singer signature design visible all over the Singer 6180 Brilliance Sewing Machine. Why Choose Singer 6180 Brilliance Sewing Machine? 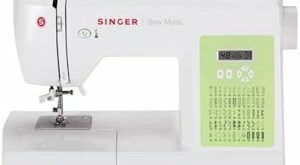 It’s either you are marveled by the simplicity of the Singer 6180, the cost or maybe the fact that it is even a Singer sewing machine. The point remains that, there’s always something to love about this cheap, small but feature rich sewing machine. The conclusion will be about the dependability of the sewing machine. One you can always call upon whenever there’s a sewing to be carried out. Singer 6180 is just the right sewing machine that delivers more than its monetary value. 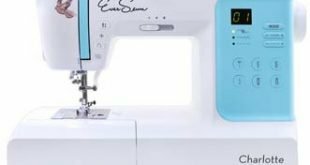 Usually, this sewing machine is marketed using the affordable price as a factor. However, there’s much more it has to offer than just the price. For a value that doesn’t break the bank, you’ll get an 80 built-in stitch sewing machine. It doesn’t end there, every of the built-in stitch has a custom and adjustable setting. That should take us to the free arm convertible. You’ll never have to require another sewing machine to do your collars, cuffs, and hems. Just attach and detach the free arm, more like a breeze. The threading is what makes this sewing machine a classic. In just six seconds, you’ll get the entire machine threaded. This is not an exaggeration, you’ll just have to give it try to confirm. You’ll never have to use the same buttonhole style for every sewing done. Just choose between half a dozen buttonhole style and get the job done creatively. Even though you can go as far as 750 stitches per minute, you can still stitch slower if you can’t handle the speed. There’s a speed control prompt that requires just the push of a button. Singer knows you would like the option to fix slightly thick materials, that’s why you have a heavy-duty metal frame to give you the stability you require. 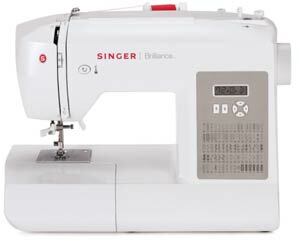 Everyone should buy Singer 6180 Brilliance Sewing Machine. Yes, that is not a joke. However, if we have to be specific, this sewing machine will be more suitable for entry-level users who are still learning the ropes. Considering the cutthroat speed of 750 stitches per minute can be controlled and a bundle of features, experts will still appreciate having one. It serves more than just a category of user.